Android 8.0 Oreo was launched in August and it is only available for Google's Pixel and Nexus lineup. The operating system is expected to become available for OnePlus 5 and Nokia 8 in the coming weeks. Android 8.0 Oreo, the latest version of Google's mobile operating system has appeared on Android Distribution numbers for the first time. 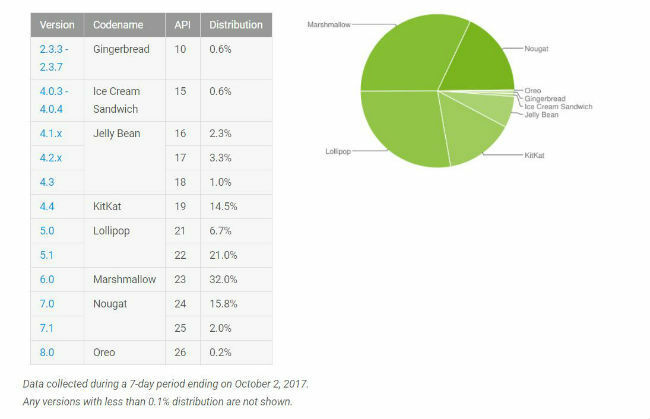 Android Oreo was launched during the end of August and has reached 0.2 percent market share. The operating system is only available for Google's Pixel and Nexus range of devices. Android Nougat, meanwhile, has gained 2 percent market share in the past month to reach a share of 17.8 percent. The numbers are based on data collected during a 7-day period ending on October 2, 2017. Android 7.0 Nougat is currently powering 15.8 percent devices while the 7.1 version is being used by 2 percent active devices. Android 6.0 Marshmallow, announced almost two years back, continues to be the most popular version of Android. The operating system is now running on 32 percent devices while Lollipop reached a share of 27.7 percent share. Android 5.0 Lollipop is on 6.7 percent devices while Android 5.1 Lollipop is on 21 percent. Android 4.4 KitKat is powering 14.5 percent devices while the versions of Jelly Bean is being used by around 6.6 percent devices. The market share of Gingerbread and Ice Cream Sandwich has now stagnated to 0.6 percent. Android 8.0 Oreo started rolling out as an OTA update during the end of August and early September. The new version of Android brings support for Project Treble, which aims to fix the fragmentation issue causing a huge delay in the rollout of major updates to all devices. 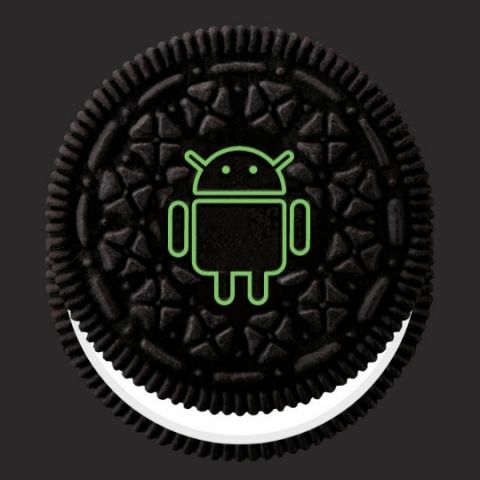 In the coming months, Android 8.0 Oreo is expected to roll out for Samsung's flagship Galaxy smartphones, OnePlus devices and Nokia's entire smartphone lineup. With the update hitting more devices, it should gain in market share and is expected to be available for more devices by the end of this year. did android operating system is Safe? I teams of personal data and all?? what is KERNAL in Operating system? Which is the best PC Operating System? what is DOS operating system? which is the latest Operating system of BlackBerry?